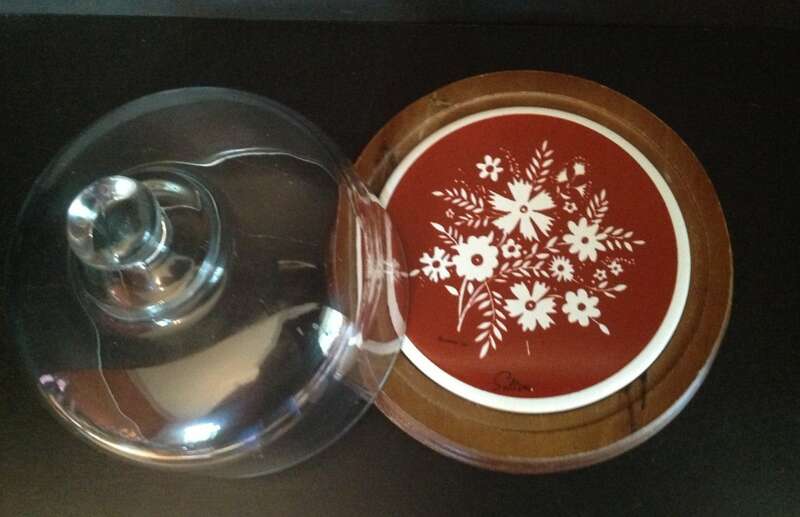 Offered is a ceramic and wood cheese board. 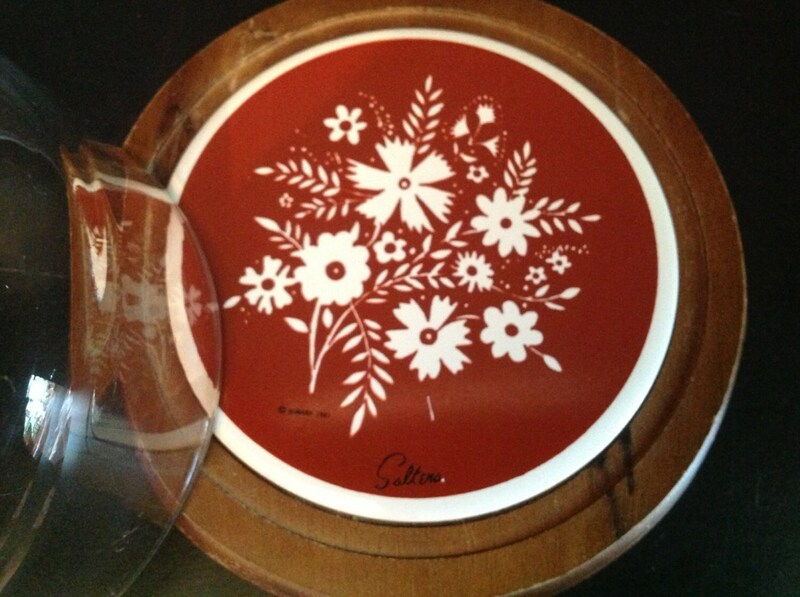 It features a rusty red ceramic surface (which has one scratch) with white woodland flowers. 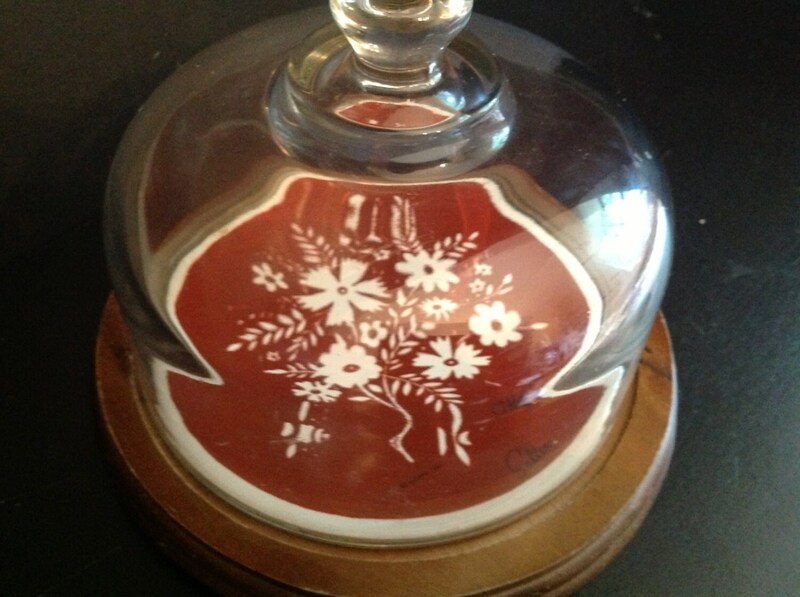 The glass lid is clean and clear. The wood base has some surface wear. 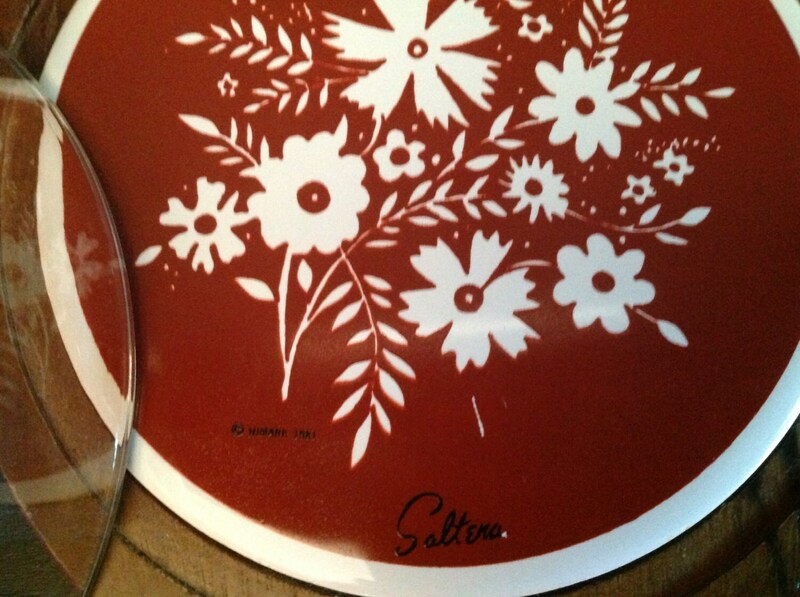 It is signed by he designer, Saltera. and marked "Himark l981".